Posted by hslu in Economics, Euro, jobs, Social Issues. That’s what Uber CEO promised if European governments will work with them. Yeah, these new quasi taxi drivers will make probably ￡50,000 a year after gas and expenses, not enough to feed a family, but will take billions away from current taxi drivers this year alone. Uber will make taxi drivers poorer but it will make Uber officials rich. This is capitalism at its worst. Posted by hslu in Do you know?. I know he didn’t go to school before he came to the US. 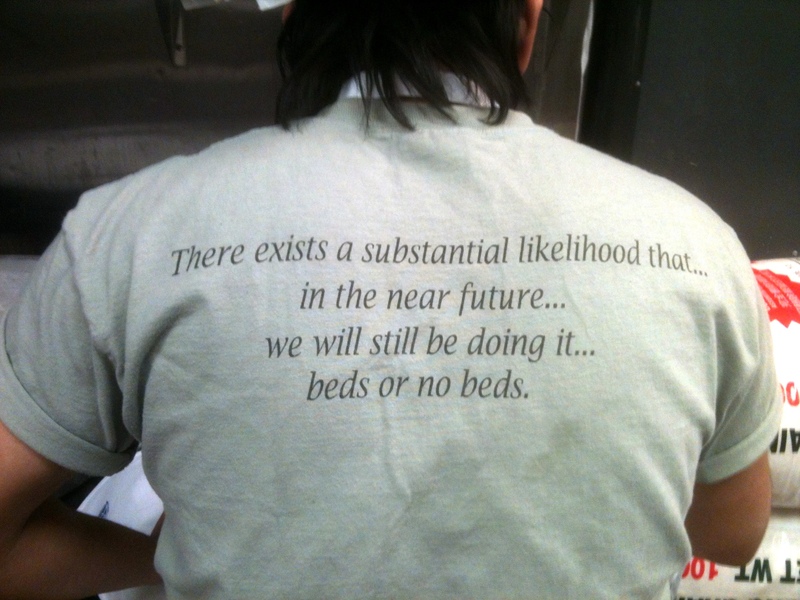 But he wore this T-shirt to work the other day and seemed to know what he was doing. I didn’t ask him where he got the T-shirt from though. Posted by hslu in China, Economics, Election, Taipei, Taiwan. Posted by hslu in Economics, Retirement. J.C. Penny will close 40 stores. Wet Seal will cloe 330 shops. Deb Shops will close 300 shops. Delia will close all its stores. Aeropostale will close 120 stores, higher than 40 or 50 it had originally planed. It will also close 125 of its P. S. stores. Sears will close 235 stores. RadioShack is trying to close 1100 shops. Target will close 11 stores. On-line shopping is one problem. Another factors is the senios who are retiring by the thousands everyday. Posted by hslu in Economics, Energy, Global Affair, jobs, Oil, stocks. I have said that American shale oil producers acted like 敗家子 because they tried everything they could to get shale oil out of the ground as fast as they physically can without considering the future or preserving some for the raining days. In the process, these oil producers ran up a huge debt to fund a frantic drilling program because shale oil production rate drops like a rock once it begins production. As much as 40% annual decline, sometimes faster, forced them to drill longer and closer to each other, frack them with ever increasing pressure and prop the fractures up with more propants and chemicals. In the mean time, they hired more roughnecks to run the rigs and hundreds of trucks to haul drilling and fracking equipment. Oil production ramped up quickly along with company profits. CEO’s options were jacked up as company stocks ran through the roof. The happy 敗家子 saw their personal wealth blooming and everyone in the shale oil business was happy with the year end bonuses and the rising market value of their 401(k)s.
The media talks about the good time is here to stay and America will be the king of the world again. Production will surpass 10 million barrels per day and America will be the largest oil producing country in the world. People who could only find jobs at local truck stops flipping burgers or at local 7-11 selling hot dogs, quit their $8 an hour job, drove to North Dakota, Texas and Pennsylvenia searching for $25 an hour career and a better life. Around cities where shale oil boom started about 5 years ago, trailer homes spread out in the country side. Rent skyrocketed. Bars popping up everywhere. The oldest business was revived. Roads are crowded. Triffic lights were added at town center. Housing markets were hot and condo prices went tmup by 20, 30 or even 40% a year. Cities tried to catch up with more roads and increase civil services. Schools, hospitals and police stations were built as fast as they could. Everyone was happy. The good time is rolling and it is here to stay as oil flows and flows while money just seemly coming down from the sky. Then the bloom popped almost over night. The price of WTI came down and down and down. $100. $90. $80. $70. And then $60. Analysts then stressed the psychologically important $50. Predicts come out every day on CNBC and even more on the Internet. And boom, WTI is below $50. Not much but to watch the price of WTI drops futher and their stock price cut by 50, 60 and even 70%. As for the shale oil bananza in the US, most of that will probably stay in the ground especially the marginal fields. Saudi will control the oil market and make sure shale oil will not be profitable again for at least a decade. Oil price will be kept within a range of $60 to $80 a barrel, just below the cost of most shale oil projects on a full cycle base. Saudi will be happy with their $20/ barrel or below cost. They will see their market share bump up and OPEC will be the boss again. American 敗家子 will be broke. Some will bankrupt and American oil renaissance will fade into memory. Rig count will drop. Shale oil projects will be dropped. Finally pink slips will fly. Plenty empty buildings will be standing still in the wind. Grass will grow. The good times will be a dream people talk about. Trucks will stop rolling down the street. Bars will be closed. Houses will remain half built. The roughnecks will go back to truck stops flipping burgers again. The boom will be over before people even know it had ended. Not everything is lost though. Most of them will have a new car and a 72-month new car loan to pay off with their $8 an hour job. 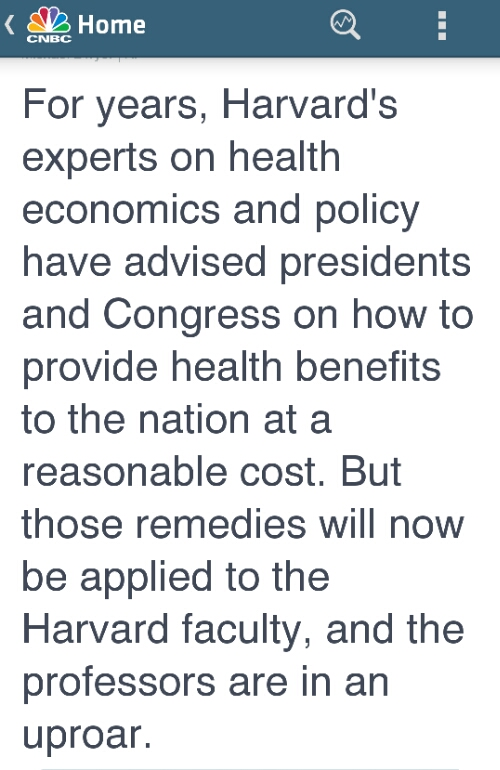 Posted by hslu in Health Insurance, Obamacare. Welcome to the real world, you liberal Harvard professors. Now that the univerdity is raising your medical insurance premium and deductibles, you are eating the same medicine you have prescribed to the millions of hard working Americans. Well, you did it to yourselves just like thousands who voted for Obama back in 2008 have done to their pockets. Posted by hslu in China, Chinese, Life, Death and Yuanfen. Posted by hslu in Obama, Taiwan.